Description A stunning round side table with a glossy glass top (various colours) with a matching painted metal frame. Available in 2 sizes. Isao Hosoe began his collaboration with Tonelli in the late 1980’s and continues to create furniture designs that encapsulate a simple beauty in both form and function. His style is typical of Tonelli products, using the glass bonding technique to produce beautiful designs that enrich the environment without being overly invasive. To date he has won a number of international prizes with his designs in the fields of transport, office furniture, product design, telecommunications, electronic and household furnishing. He has had a number of personal and collective exhibitions both in Italy and abroad, he is a lecturer in Design at many Italian institutions including Milan’s Polytechnic. 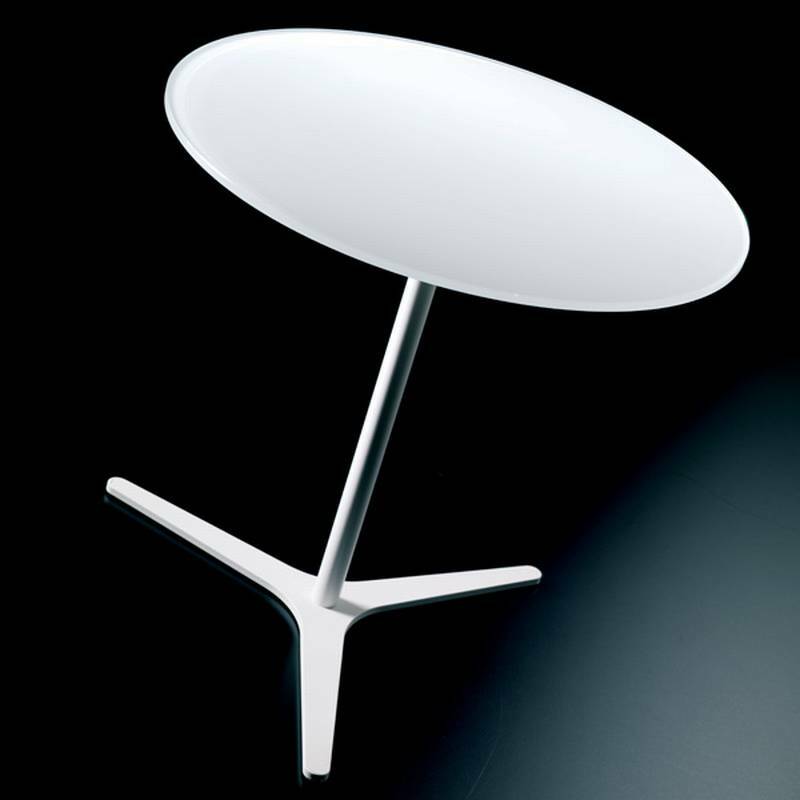 His iconic designs sum up Tonelli perfectly, understated yet beautiful. Click on the links below to view all available options.